Second Life new Community Platform arrived! Today the new Community Platform of Second Life is arrived. I noticed that my SL Marketplace Store sales are still very bad compared to my Xstreet SL Store sales. Even if I am still not happy enought with the fact that we soon have to use the new Marketplace it will be better anyway for us. At the moment we merchants have our customers splitted on two platforms. When Xstreet will close all peoples go over to the new Marketplace and then we dont have to monitor both platforms anymore. Lets hope that these changes dont affect our sales negative. At the moment I dont notice much sales on the new one but because Xstreet is still available, that could be the reasons as many peoples maybe still buy there and not on the new Marketplace. Here is a quick overview of what to expect in the next few months while we move toward retiring XStreetSL and launching SL Marketplace. Dates are supplied where available. XStreetSL Feature Enhancements suspended – Tomorrow, September 1st, will be the last day to purchase either homepage or category feature enhancements on XStreetSL Please check out the offerings on the SL Marketplace site, As there are even more options for feature enhancement. Feature enhancements on XstreetSL will not be migrated to the new marketplace. XStreetSL banner ad sales retired – Soon, you will no longer be able to purchase banner ad subscriptions on XStreetSL. In October: XStreetSL Linden dollar exchange trading suspended. – All market trades that are not filled will be closed and the funds returned. XStreetSL new listing creation closed – As of 9/5/2010, XstreetSL will no longer allow for new listings to be created, and the Commerce Team will focus on migrating all remaining content to the new marketplace. XStreetSL will have links added for customer to choose if they want to buy the item on the new marketplace. XStreetSL Items will no longer be available for purchases on October 6th 2010. – If there are links to Xstreet SL detail pages on blogs or articles those links will automatically refresh to the linked product on the new marketplace. XStreetSL sales history, account history will no longer be available after December 1st 2010. XStreetSL links in SecondLife.com changed to Marketplace – The links in the Second Life web site will be updated so they point to the SL Marketplace. SL Marketplace is out of beta! Today me and a friend went to the Chamber of Commerce Election Weekend. The Chamber of Commerce is a Association of all Merchants who are Owners of Land on the Lionheart Virtual Real Estates. 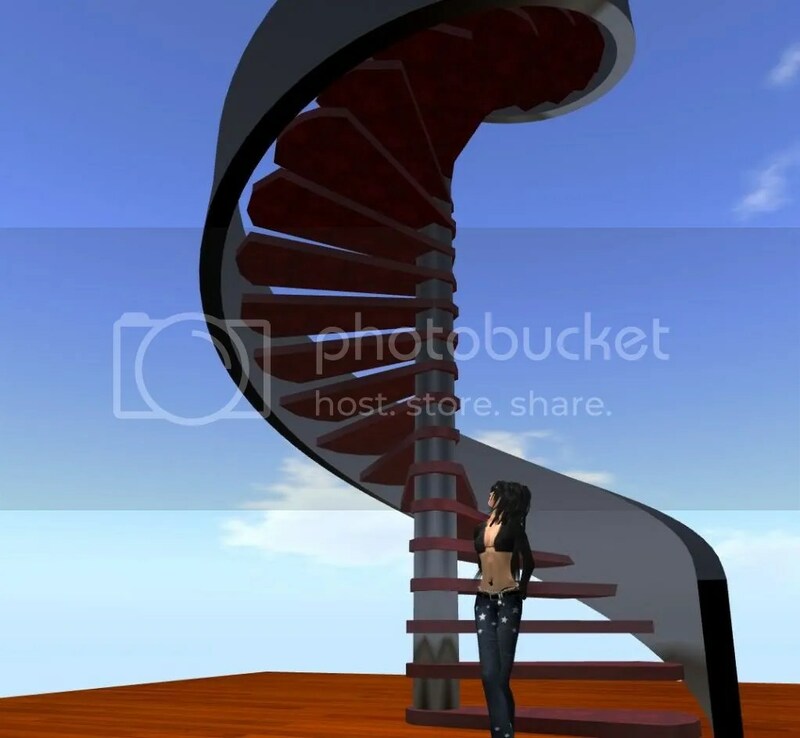 It is a free Group for us Merchants where we can discuss Second Life related business questions. Like they write on there homepage it is also the Place to get involved with other merchants in inside of the community to arrange common promotion events like continentwide hunts etc. The Idea behind is pretty good. The Goal is improving the Business of us all Community-Members. So thats why you can say that this Estate and the Community of it is not unorganized. You rather should know it is pretty well organized. And here it goes to the question why holding an Election? What is the Chamber of Commerce Election Weekend for? Organized things are in need of someone who can organize and manage things. So this is the reasons for the Election-Weekend. Finding a new Chairman of the Chamber for a 6 month term. The latest Chairmen was “Jezzy” and now we did need to find a new Candidate. There were two Candidates called “Sookie” and “Clover”. Both did introduce them self and later we had the chance to ask and get answers about what there targets will be if they become Chairmen. It was a pretty interesting round. Later then we talked about some Business related ideas and so. Again to set some goals and improve our all business. For sure it was not only serious.. Indeed we also did make some jokes and had a lot of fun. It was a nice round, yes. I wasnt happy with Blogger anyhow. I did try WordPress and I must say that I like the Backend much more. I like how I can manage the blog with WordPress. Im sure its a matter of taste. But here I am on my new Blog at WordPress. Yes now I am happy. Finished most importend stuff and imported already all the old Posts from Blogspot. Did create a Header and did setup some Widges. I know there can be done more. But give me some time.. let me see what I can setup next days. For now I am happy. I think I need to inform all the Blogs who linked back to me. I did add already there blogs in my Blogroll. So here is the new Place where I will write about my Second Life in the future. SL Marketplace, do we need to do the math of "Sales History" in the future? If you are merchant you know it was easy to get the value of xstreet sales you had in a exact time range.. How I said.. when you did use xstreet. Under “My Marketplace” we just had to click “Today´s Sales” and then we´ve got a Sales History where we could find everything we want to know. Monthly earnings… weekly earnings.. maybe a whole year? Indeed all was possible so no more math needed. Just copy and paste the values to our Calculation Software (OpenOffice or Excel) and thats what was ok. Pretty simple but enough to monitor the income we have. Now for sure I asked my self how it will be with the new Marketplace instead of Xstreet. Checked out the new Second Life Marketplace Beta to see if I can find anything. Under “Merchant home” I found a Link called “Reports” and “Product Sales” on the left side. Clicked it and was shocked how simple this report is. Didnt see much more then a list which tells me how much visits and sales differend of my objects had. Ok so far.. but.. 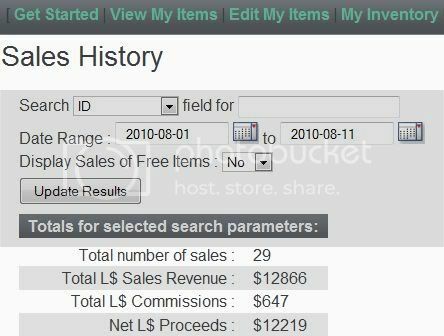 I did see more numbers on the buttom which I could use to browse all my objects… yea to get all the info about my other product visits and sales. And here is my problem. Should I now browse all pages and then do the math by my own to get the amount I´ve sold? And how about time range? I couldnt see the complete addition of all sales.. I also couldnt find anything which let me define a time range. This cant be true and I hope it is because it is still in a beta. This is not complexy and there must be more.. I hope there will be more. Im not happy with a simple list of my product sales. I need to define the time of sales.. I need to have the possibility to setup more then this. And I defenetly wont browse 10 Pages of over 100 Items and do the math by my own. This cant be all. And please lets all hope we get more then this after the beta.